In March 2009, the Rajasthan government approached the erstwhile union government, seeking central assistance for setting up the Jaipur Metro Project. Nine years later, a performance audit of the first phase of Jaipur Metro by the Comptroller and Auditor General of India (CAG) reveals how this urban mobility project was pushed through with undue haste. This has raised questions over why certain due diligence protocols in the planning phase were undermined. The CAG performance audit tells us that in April 2009, the Union Government advised the Rajasthan government to prepare a Comprehensive Mobility Plan (CMP) in order to conduct a realistic analysis of suitable technology for a Mass Rapid Transit System (MRTS). The GoI in its advisory asked Rajasthan to factor in important parameters such as urban form, trip length, capital cost, operations & maintenance cost, level of demand, projection for future growth, extent of population density, impact on the aesthetics of the city etc while preparing the CMP. Since the reported population of Jaipur city was below 4 million as per the 2001 Census (2.3 million to be precise), it was not directly eligible for a metro rail project. 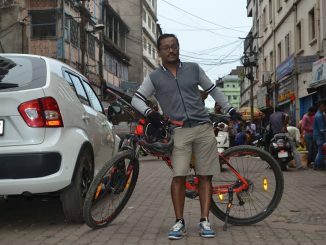 This made it mandatory for the applicant to prepare and submit a CMP and a report on alternative modes of transport. 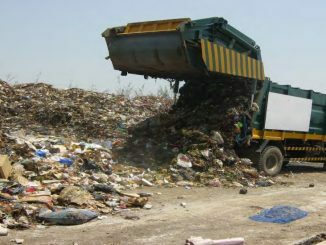 The government advisory to Rajasthan also reminded the state of the same and said that the CMP prepared must duly integrate land use and transport planning and ‘Alternative Analysis’ to find out the most cost-effective solution. CAG auditors draw attention to the guidance note and toolkits for the preparation of such a CMP, which the union government had formulated in August 2008. However, audit scrutiny of documents from the planning phase reveals that the state government didn’t follow the steps specified for the appraisal of Metro rail system. 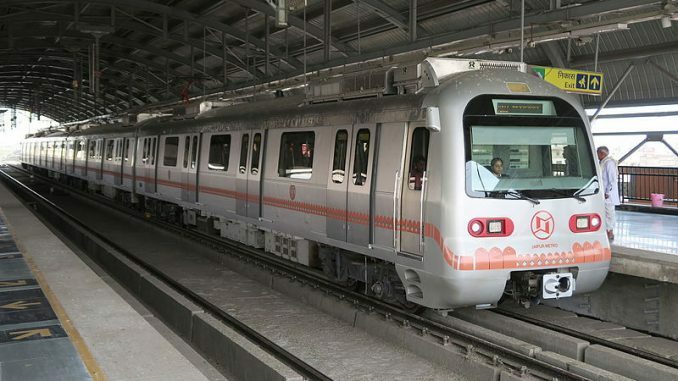 In May 2009, Jaipur Development Authority – the agency in charge of planning the Jaipur Metro Project before the Jaipur Metro Rail Corporation (JMRC) was incorporated – entered into an agreement with the Delhi Metro Rail Corporation (DMRC). This agreement provided for a consultancy fee of Rs 3 crore to be paid to DMRC for preparing the Detailed Project Report for Jaipur Metro. So, here was a situation where neither was a CMP anywhere in sight, nor was anything explored in terms of analysis of alternatives, but an organization was being hired to prepare a DPR! “The fact remained that the work for preparation of DPR was awarded as early as in March 2009, while the work for preparation of CMP was awarded only in September 2009. Thus, the sequence of events indicated that CMP was not prepared to assess the feasibility of the project”. What could have led to the change of opinion and the stand of DMRC coming in to bat for a city, which clearly didn’t qualify for central assistance for Metro Rail System in the years 2009-2010? Why would a cabinet note for approval submitted by Rajasthan in August 2009 conveniently forget to report on compliance with the advisory note that the union government had sent in April 2009? Trying to find some plausible answers to these questions, CAG auditors studied threadbare the agreement between Jaipur Development Authority (JDA) and the DMRC for preparation of DPR and the outcome. Their scrutiny led them to revealing facts. 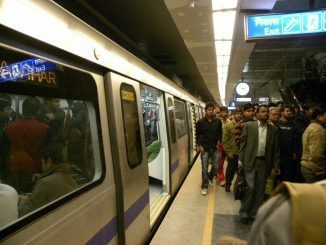 The 2009 agreement with DMRC included a payment of 20 percent of the amount only upon submission of the Traffic and Transportation Report (TTR) — consisting of traffic survey data, their analysis and estimate of ridership, including sectional and station loads but auditors found that the DMRC had outsourced this to M/s Wilbur Smith Associates. CAG auditors report that “no analysis of traffic survey data and estimation was available”. As a natural corollary, we are told, “Consequently, the DMRC did not furnish traffic survey data and its analysis with TTR to JDA/JMRC”. Despite the above, the payment of Rs 60 lakh to DMRC was still made. This consultancy firm didn’t mince words and pointed out that in the absence of the soft copy of the traffic model, only output results presented in the DPR were examined by ‘judgment’. They recommended further studies, which would allow comparison of various Peak Hour Peak Direction Trip (PHPDT) values achieved by different rapid transit systems. In April 2010, the central Ministry of Urban Development pointed out to Rajasthan that “cities where the Metro has been planned had a public transport share of 50 to 60 percent of the total city traffic, whereas Jaipur had only 19 percent”. The Rajasthan government was once again directed to submit a detailed analysis of alternative transport systems by the ministry. In a snub to the Jaipur Metro planning, it was pointed out bluntly that their “analysis showed widely varying figures in terms of population forecast and demand on major corridors”. The union government note in April 2010 stated that demand on major corridors was overestimated and the ridership figure needed to be firmed up after rechecking the so called Traffic and Transportation survey results and population forecast. CAG auditors again note that “Rajasthan Government neither submitted the details of alternative transport system nor did they recheck the survey results”. Rather than addressing the Union Ministry’s concerns and acting on their advice, the Rajasthan government in its reply in April 2010 argued for the need for Metro services and now, submitted traffic projections prepared by M/s Wilbur Smith to the GoI. CAG auditors, however, noticed that the project was started even before the ‘in-principle’ approval was accorded by the union government, which came only on January 21, 2011 for Phase IA (Mansarovar to Chandpole), with a condition to rework the DPR on realistic basis to ensure sustainability of the project. Last time when the CAG of India carried out a comprehensive performance audit of the first phase of the Delhi Metro, the Ministry of Urban Development had remained non-responsive for about a year. When the audit report on the first phase of Delhi Metro finally got tabled in Parliament after a considerable delay, on July 17, 2009 – the same week that an under-construction flyover collapsed and subsequently three cranes collapsed in Delhi – E Sreedharan (Shridharan) had responded stating, “They (CAG) have no responsibility to deliver, their job is to find fault.” He claimed that the final performance audit didn’t incorporate DMRC’s replies. The DMRC, thus, has a history of launching into a war of words every time constitutional auditors scrutinize their books as well as due diligence processes. The question now is this: Will Jaipur Metro come clean on the issue and all the grey areas that have emerged, in which the DMRC too has, evidently, a significant role to play?